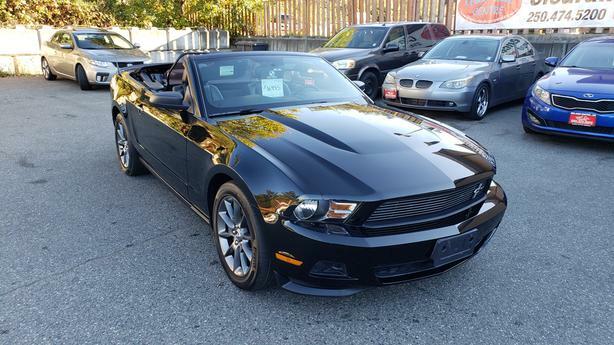 2012 Ford Mustang Convertible. Black with black leather interior. 6 Speed manual transmission. 3.7L V6. 75,189 KMs. Power windows, locks, mirrors, seats, and top. Heated seats. Cruise control. A/C. AM/FM/CD/SAT stereo with blue tooth. Steering wheel audio controls. Excellent shape inside and out, with super low KMs.